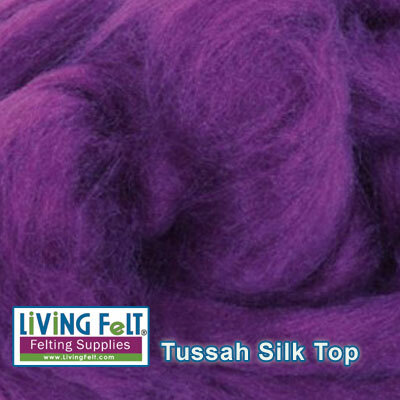 Tussah Silk Top is a natural fiber that is wild cultivated. While mulberry silk is from silk worms bred in captivity and fed only mulberry leaves, tussah silk is more natural in color and texture as the silk worms are able to source their own food. 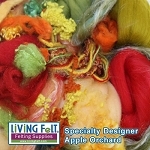 Tussah Silk blends well with Merino Top and can add beauty and luster to your felting and nuno felt projects. 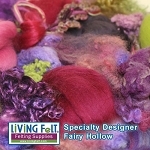 Silk does not felt, but you can anchor it down with wool while felting. Tussah Silk is very soft and these fibers have been professionally dyed to perfection. Each color is very uniform and the fiber is gorgeous in person!